Click here for current driving directions to the FIA. John Henry has been the FIA's Director since July 1996, and holds an M.A. from the University of Mississippi in Art History and a B.F.A. from the University of South Carolina in sculpture. 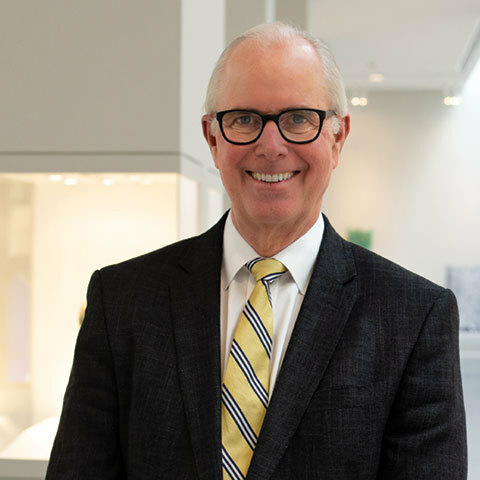 He is a member of Rotary International and a member of numerous professional affiliations including the Board of Trustees of the Flint Classroom Support Fund, The Association of Art Museum Directors, American Association of Museums and the Midwest Museum Conference. The Director is responsible for the administration of board policies and all museum operations. 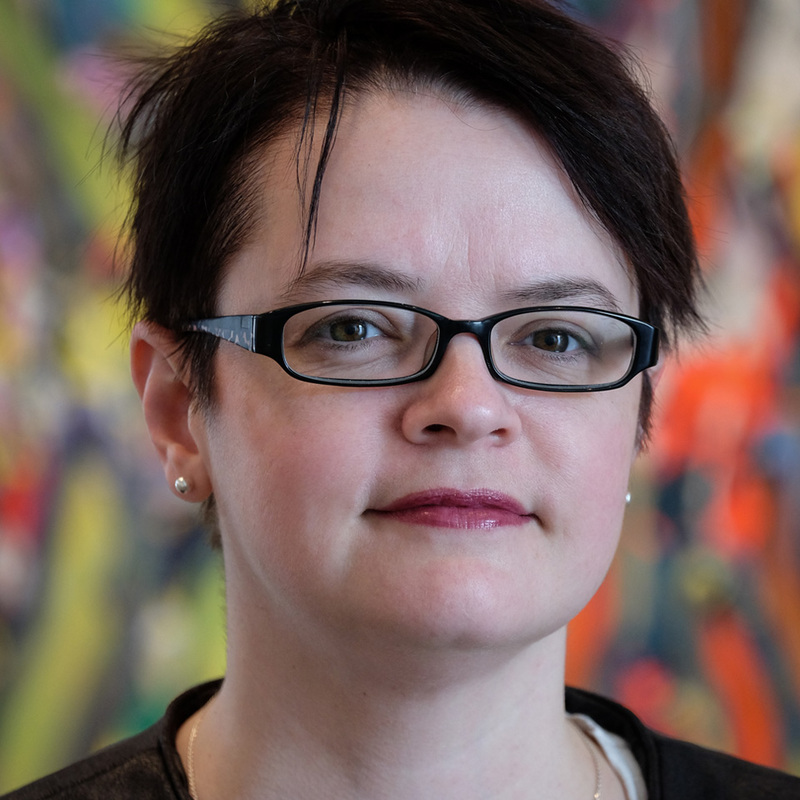 Tracee Glab is Curator of Collections and Exhibitions at the Flint Institute of Arts and holds an MA in art history from Wayne State University and a BA in art history from the University of Michigan-Dearborn. Recently she has contributed to Magnificence and Awe: Renaissance and Baroque Art in the Flint Institute of Arts (2011). Prior to her position in Flint, she worked for ten years at the Detroit Institute of Arts, editing several collection and exhibition catalogues, as well as serving as the editor of the museum's scholarly journal. Tracee was also honored with two competitive travel grants to London and Oxford to conduct her master's thesis research on the nineteenth-century British painter Dante Gabriel Rossetti. Donovan holds an MFA from the Pennsylvania Academy of the Fine Arts. His undergraduate concentration was painting and printmaking; and graduate studies painting and sculpture. Prior to joining the Flint Institute of Arts, Donovan served at Interlochen Center of the Arts for seven years, most recently as Assistant Director of Admission and Financial Aid. In addition to his administrative work, Donovan has exhibited, lectured and taught art at summer camps, community centers, and universities. Kathryn Sharbaugh received a BFA from the Kansas City Art Institute and an MFA from Cranbrook Academy of Art. 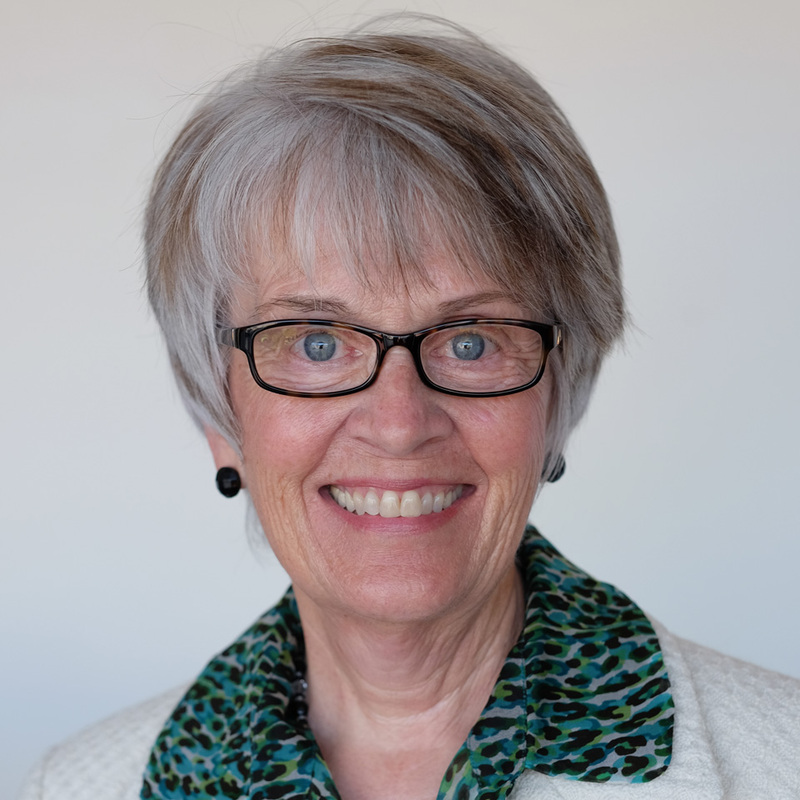 Kathryn has been a faculty member of the Flint Institute of Arts since the early '70's as well as overseen the Institute's Capital and Endowment Campaigns. She has received numerous awards including two each from the National Endowment of the Arts and Michigan Council of the Arts. Her design work includes dinnerware for Corning and Mikasa, marble floors, commemorative plates and a Columbarium. Kathryn's work is in museums throughout the world as well as the Smithsonian's Renwick Gallery and Cooper Hewitt Museum. Her work is featured in more than 10 books as well as represented in four Who's Who volumes including America, Art, Women and Business. Monique Desormeau holds a B.A. in Art History from the College of New Rochelle and an M.S. in Art Education from the College of St. Rose, and is a certified art educator. 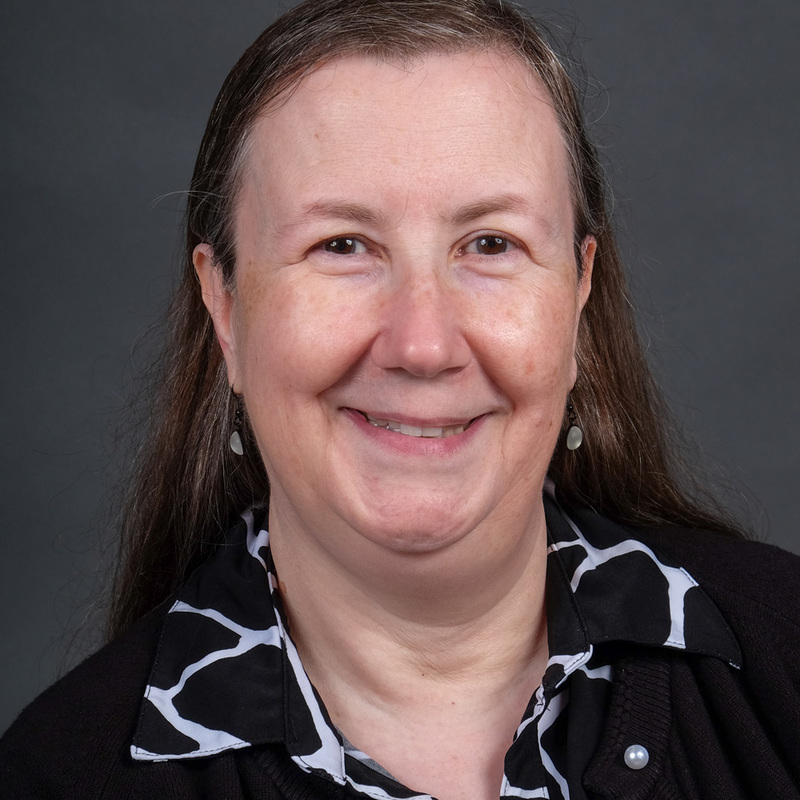 Her responsibilities include planing programs to help people connect with art, presenting art history classes and educator workshops, and training docents (museum guides). Monique is a member of the National Art Education Association and American Alliance of Museums. In addition to her duties at the FIA, she teaches art education classes at C.S. Mott Community College. Originally from Ireland, Sarah Dunne moved to Flint in 2009. 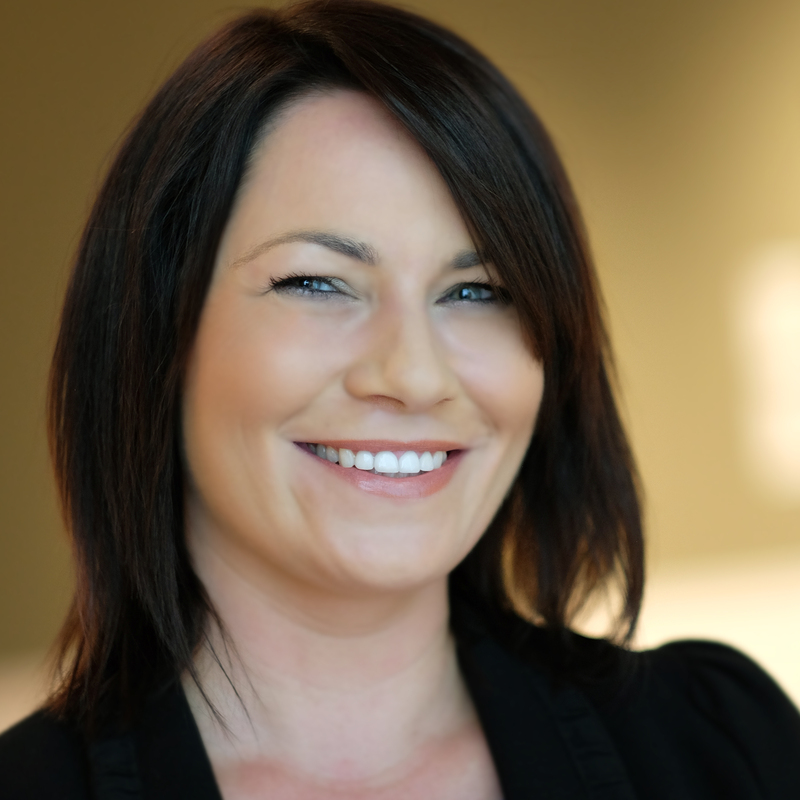 Sarah’s background in business and marketing in service-related industries allowed her to successfully introduce new cultural events as well as increase attendance to existing events during her five-year employment in the executive offices of the Flint Cultural Center Corporation. Sarah joined the FIA’s administrative team in 2014 and is now utilizing her expertise to develop and manage a new member and guest relations department that integrates the customer-facing services of the museum including the café, gift shop, visitor services, events, and facility rentals. Sarah also served on the Flint & Genesee Convention & Visitors Bureau Advisory Committee from 2013 to 2015. Guy has an MFA from Cranbrook Academy of Art and is the FIA Ceramics Studio Fire Master. Guy has been a studio potter and ceramics instructor for more than 25 years. He exhibits his work throughout the midwest. Jim has taught watercolor for 35 years and is a member of the American Water Color Society. He is the author of Color Theory Made Easy and has lectured on color theory at many leading U.S. Art Schools. Rebecca has a BS in Fine Arts from Illinois State University and is pursuing her masters in Early Childhood Education at the University of Michigan-Flint. She has been an artist/educator for more than 25 years. Barbara holds a BFA in Textile Design from the University of Michigan, Ann Arbor and MA(s) in Art Education and Textiles from Eastern Michigan University. She has taught middle and high school art for the past 22 years and exhibits her fiber art all over the state. Alla has an MFA and BFA from the Moscow Pedagogical University in Moscow, Russia. She is a freelance illustrator and also teaches at Mott Community College and the University of Michigan-Flint. Alice has taught at the FIA since 1982. She earned a degree at Michigan State University and studied under several renowned fiber artists. She has exhibited her work at numerous art venues. Rebecca Gray has studied at the Florence Academy of Art in Italy, the Gage Academy in Seattle, and in New York City, where she completed the four-year program at the Grand Central Atelier under Jacob Collins. Jeff has a BFA from the Kansas City Art Institute in ceramics. Jeff specializes in teapots and sculptures constructed from thrown parts. Paul has a BFA in Jewelry Design from Buffalo State College in Buffalo N.Y. and an MFA in Metalsmithing from the Cranbrook Academy. Paul teaches at Mott Community College and works summers with the Chautauqua Institution in New York. Tonya Henderson has a degree in Visual Communications from the Colorado Institute of Art, and a diploma from Dubner Training Center in computer graphics. She exhibits nationally and is the owner of Creative Spirit Studios and co-owner of ReTHINKin It. Craig has a BS in art education from Ball State University, and an MFA from Cranbrook Academy of Art. He has been teaching elementary art in Michigan schools for 30 years. Barbara has a BFA from Kendall College of Art in painting and surface design. She specializes in botanical watercolors and art quilts and has exhibited her paintings nationally. Karyn holds a BFA in ceramics and drawing from Sienna Heights University. She has taught at the Creative Arts Montessori, Ann Arbor Art Center, and was an assistant moldmaker at Pewabic Pottery. Drew Kups has 20 years experience as a flameworker and glass artist. He is the co-founder and producer of The Michigan Glass Project and founder of Urban Pheasant Glass in Detroit. He has exhibited and demonstrated throughout the United States. Michele Leclaire has an MFA in Painting from the Pennsylvania Academy of the Fine Arts. Her focus is on works on paper, especially painting and printmaking. Igor has a BA in graphic design from Moscow Art College of Design and an MFA from Moscow State Pedagogical University. He is a full-time practicing graphic designer. Rachel holds a BFA from the College for Creative Studies and earned an MFA from Vermont College of Fine Arts. She exhibits throughout the region. Philip received a BFA & MFA in painting from Kendall College of Art and Design. Ruehle's artistic output ranges from wildlife to abstract painting to sculpture, with recognition for miniature figurative painting. Gary Schwartz is an Academy Award nominated filmmaker, as well as an animator, director, artist & educator. Gary has produced, designed & directed animation for Disney, Sesame Street, MTV, Fox Television, & PBS. He currently teaches at UM’s Stamps School of Art & Design. Elizabeth Sevick received her MFA in Painting from the Kendall College of Art and Design of Ferris State University, and her BFA in Painting from the University of Michigan-Flint. She has exhibited throughout the country, most recently in the Rochester Contemporary Arts Center, Rochester, NY. Arla earned her BFA in Painting from the University of Michigan-Flint. She is currently teaching painting and drawing for VSA artist-in-residence at GISD Schools. Anita holds a BA in Art Education from Eastern Michigan University. She taught K-6 in the Lapeer Public Schools for 30 years and exhibits fused and lamp-worked glass regionally. Ellyn holds an MFA in Photography from George Washington University and also studied at the Corcoran Gallery of Art. Her experimentation includes the artistic potential of smartphones. Karen holds an AGS with honors from Mott Community College and is studying Art Education at University of Michigan-Flint. She was a para-professional at Clio Area Schools and has participated in Bridges, a multi-cultural arts program. Brent Swanson is a working artist as well as an educator. Swanson infuses his passion for glass working into both the pieces he creates and his classroom approach, in part because he sees glass as a magical medium, one that holds a special place in his heart. His work experience—which ranges from glass factory production to demonstrating glassblowing at Dearborn, Michigan’s Greenfield Village to teaching at his alma mater, College for Creative Studies—is as vast as what he fashions from molten material: elegant stemware, upscale lighting, and indoor/outdoor sculpture, some of which mix in other media, underscoring his education in craft of all kinds. Swanson’s unconventional, innovative approach defines not only his art, but also his attitude toward teaching, leading gallery owners nationwide to display his work. 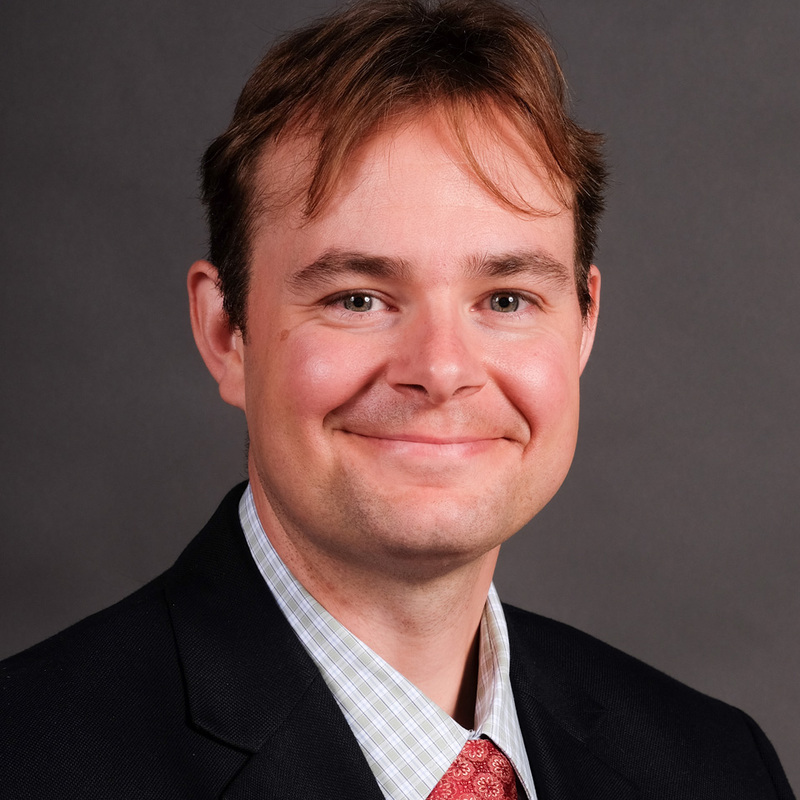 Rich Tesner has a Graphic Communications degree from Baker College and a MPA from University of Michigan. He is an associate member of the National Oil and Acrylic Painters’ Society (NOAPS). Rich exhibits his work throughout Michigan. Sifus Thompson studied at Mott Community College, Smithsonian Institution in Washington DC, and the Intermuseum Laboratory at Oberlin College. He has exhibited throughout the region and is represented in public and private collections. Jane Trotter received her MA from Tulsa University and a BA from Louisiana Tech University. She has exhibited regionally and has completed dozens of portrait commissions. Tim earned his BFA in painting and his MA in Art History from Michigan State University. His studio practice focuses on life drawing and plein-air painting. Tim exhibits his work nationally.